The Premium Preserves and Butters Box is filled with a quartet of our bestselling gourmet toppings for breads and baked goods. The blood orange marmalade comes in a beautiful, reusable jar. 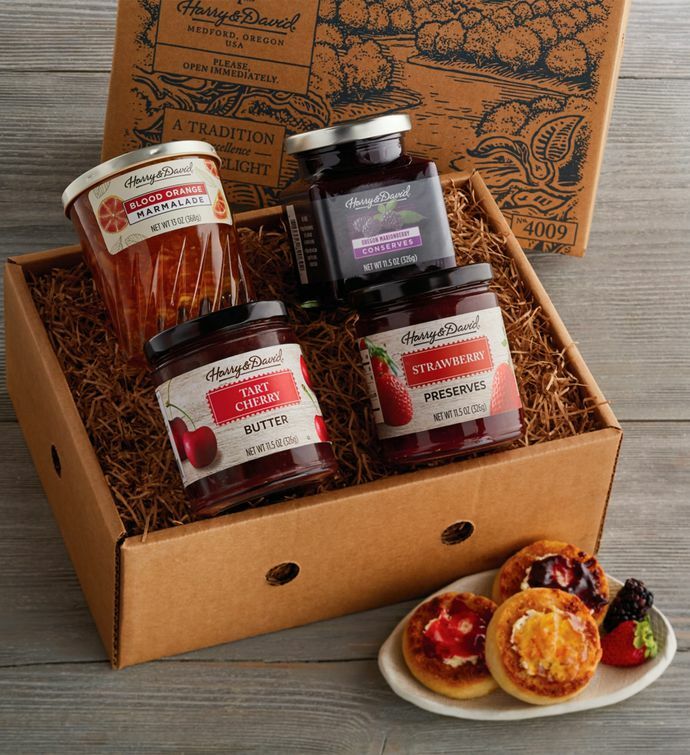 This gift also includes our popular strawberry preserves, cherry butter, and our Oregon marionberry conserves. That morning slice of toast will never be the same.